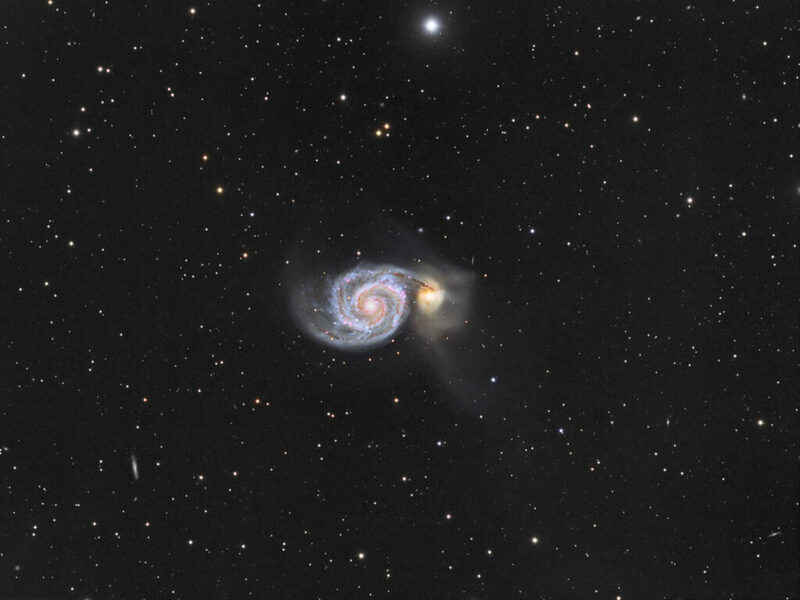 Imagery of M51 taken during the last two nights by myself (luminance) with a TEC-140 and imagery in RGB from beginning this month by Michael Van Doorn (www.dutchastrocolors.com) using his Hyperstar C11. The inverted image shows the inverted luminance. 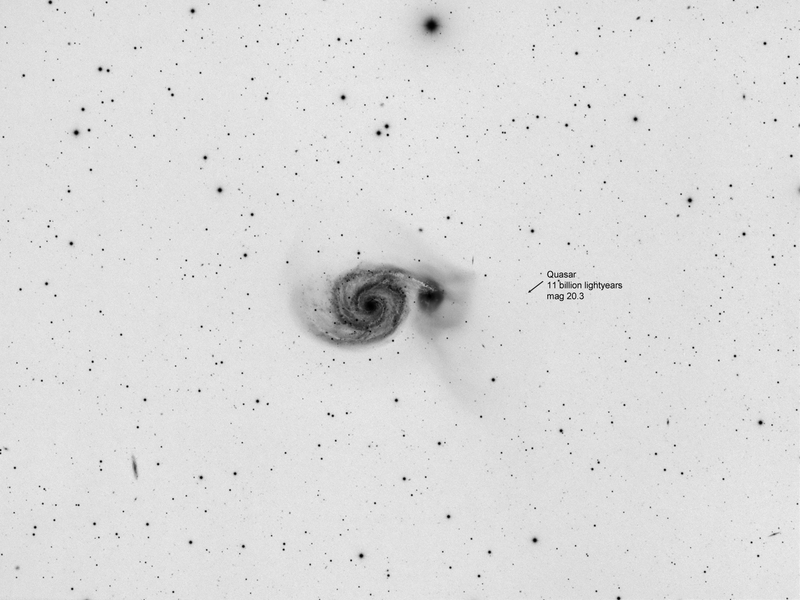 Several small galaxies are visible.